Apologies for not commenting on this two week trip I’ve been on until now – I’ve had very little internet access. We arrived in Lanzhou, Gansu Province yesterday morning after an overnight train from Dunhuang, site of the Mogao Grottoes (more on that in a later post). One Kundeji (KFC) meal later, we boarded the bus to Xiahe, a Tibetan town famous for its monastery. The four hour drive involved a Higer bus (not generally known for their suspensions) hurtling down country switchbacks sitting a thousand feet high on top of terraced mountains. 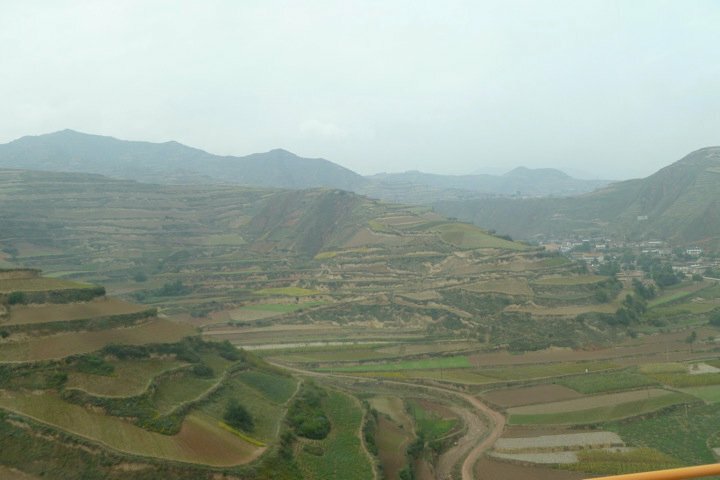 Beautiful scenery, but not conducive to a well functioning duzi, or stomach (fun fact – the Chinese version of diarrhea is laduzi, or spicy intestines. yum!). Xiahe, and the Labrang Monastery are beautiful. The Monastery itself dates back several centuries, and the current Dalai Lama studied there before fleeing the country. Just as we were leaving, some of the monks began chanting and praying in a courtyard away. I didn’t take any photos out of respect, but the sound was calming. 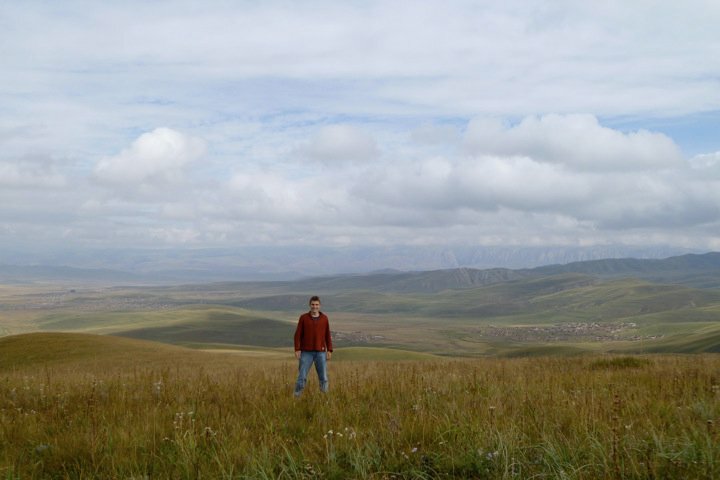 This morning we hiked around the grasslands up above Xiahe. The air was thin and hiking was difficult, but the view of a wide grassy plain and in the distance an almost vertical cliff rising several thousand feet was stunning. Pictures will definitely go up after the trip is over.